IBASSIN: 2019 Bass Pro Tour Jordon Lake Pool 2 Shot Gun Round 1: David Walker Top of Group with 82-04lbs! 2019 Bass Pro Tour Jordon Lake Pool 2 Shot Gun Round 1: David Walker Top of Group with 82-04lbs! for 15 bass to finish on top of Group B Shotgun Round. 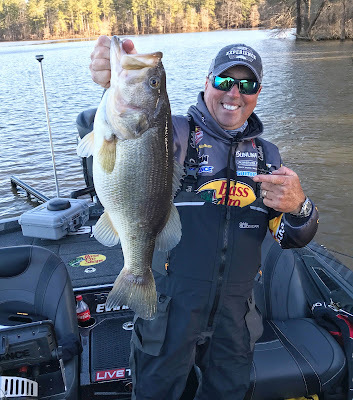 Heading into the second Shotgun Round of the Favorite Fishing Stage Three Raleigh presented by Evinrude, Major League Fishing® (MLF) Bass Pro Tour pro David Walker had a suspicion that the conditions on North Carolina's Jordan Lake were setting up for his wheelhouse. With dropping, dirty water and nighttime lows that dipped near the freezing level, the east Tennessee pro put his faith in two old-school techniques that he's built a healthy professional living on: flipping a jig and winding a spinnerbait. "I didn't have much practice, so in that case, I'm going to fish the things that I have confidence in," Walker said. "So I was fishing (baits) that I have confidence in from all the years past, not from practice." "This is a best-case scenario, because out of the two practice days, Falls was by far my worst," Walker said. "I really struggled on Falls. So to have a good start going into that is very helpful, because if not I would have felt like I was behind trying to play catch-up on that lake. I'm not saying that I'm safe or that I've made it (out of Elimination), because in this format they just keep catching them. It's relentless." The field of 80 will carry their Group A and B Shotgun Round weights to Falls Lake tomorrow and Friday for the Elimination Rounds. That fishery - a 12,000-acre impoundment of the Neuse River located 30 minutes north of Raleigh - has hosted a handful of BLF events, and produced a handful of 8-plus-pounders in the first local/regional events of the year in early March. "Falls Lake is unique enough that guys will have to start over," said MLF NOW! analyst Marty Stone, a veteran of the Raleigh-area fisheries. "Falls is going to be a little bit of the unknown; it's been three days since these guys practiced there, and the conditions are changing by the day ... heck, by the hour. Fish are coming to the bank. 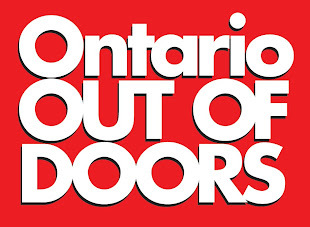 The bottom line is that we're going to have another really good lake, these fish are going to be shallow, and they're going to bite." The Top 20 anglers from each Elimination group will advance to the Knockout Round on Saturday (also on Falls, where weights will be zeroed). 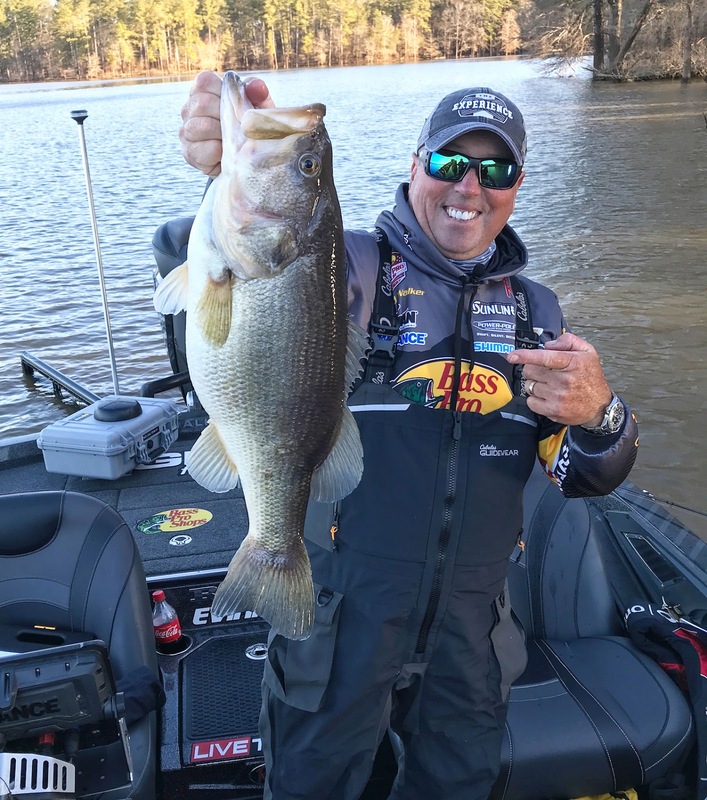 The Top 10 anglers in the Knockout Round will then advance to the Championship Round on Shearon Harris Reservoir, a 4,100-acre power plant lake that's known for its population of 6-plus-pound largemouth.